Can confirm. He was updating me every step of the way. Usually with "how much longer?!" and one amazing moment when he did the Chu Chu boss fight. I'll never agree with people who think a bad ending or finale ruins the entire experience. 40-50 hours for the first disc is longer than most games. It was already novel heavy up to that point regardless, how the second disc text dump can ruin it for someone is beyond me. I'm not completely defending it, it'll always be the ultimate "what could have been", but what we GOT, is still a 10/10 and miracle in my book. Love the Xenoblade's, but I wish Tetsuya Takahashi would get back to the Gears/Saga scope again someday. The frequent funny theory is that FF8 sapped it's sources. I'm a FF8 fan but that's unfortunate if true, not a good payoff haha. Yup. I still love Skyrim hard. And now I've actually beaten the main quest instead of just exploring aimlessly. Love it. Hard. I beat The Simpsons: Road Rage on the Sony Playstation 2 this evening! Ever since I can remember, I have been a fan of The Simpsons. I would catch the early seasons every Sunday for many years, but I really started becoming fanatical about them when a local channel would show them weeknight for an hour between 6 and 7. I would wait for dinner to be finished while watching the show and I would memorize the episodes over and over again. It is without a doubt my most quoted television show and I still adore many of the seasons. Unfortunately, The Simpsons game have been garbage. I kept trying them as a kid, but they were just the worst games. However, I finally heard a Simpsons game was released that wasn't too bad. It was basically a clone of Crazy Taxi, so how could it be bad? Buying it for $5 seemed worth the price, so I decided to give it a shot. 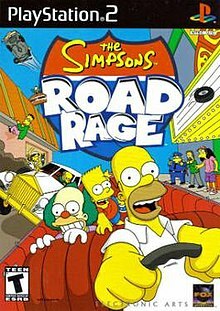 The Simpsons: Road Rage is a blatant rip off of Crazy Taxi. So much so, that the company was taken to court and the lawsuit was settled out of court. The best part about the game are the lines said by the characters. The Simpsons have such a huge universe that to have so many unique characters in a game is actually quite easy. The developers really did their homework as the lines said are some deep references along with the cars for each character. These are one lines in one episode said from characters 20 years ago. Being able to drive around historic Springfield locations while listening to them is a joy. For the first couple of hours. The game is WAY too long to get final credits. I had to have played the game at least 100 times to finally get credits. The lines repeat over and over again. And even though it is a clone of Crazy Taxi, it does not play like Crazy Taxi. The clipping issues are way too frequent as you will hit things that you clearly did not. None of the cars have much weight to them, so you are bouncing around like mad. In fact, the entire feel of the controls just felt a little off. The clock moves way too fast, no matter the difficulty. Overall, it is hard for me to judge The Simpsons: Road Rage. I have such a love for The Simpsons that I can see past its faults. If you are a fan of the show, then I would recommend the game. It's not bad and hearing the references are worth the price of admission. If you do not care about The Simpsons, then please buy Crazy Taxi. It's the better game. "I enjoyed Overcooked 2. It is good in multiplayer with short levels. You have to co-operate with your partner. It is fun. I like the chef that has an octopus for a head and the one that’s a panda and Kevin. 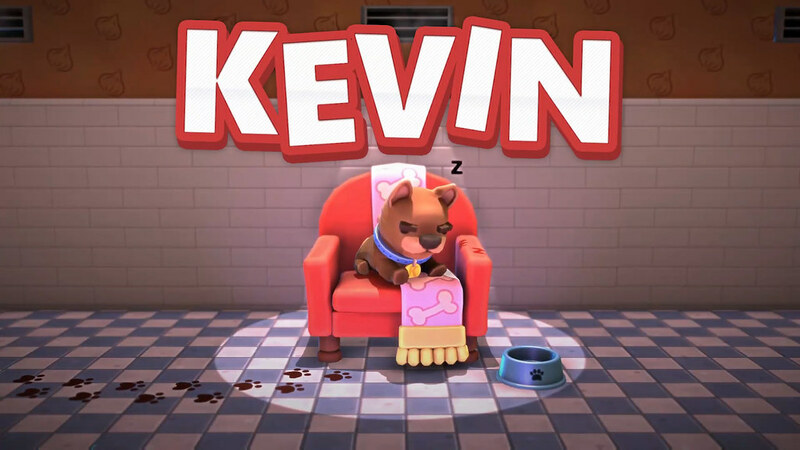 Kevin is a good boy… the best boy." "I think the levels were slightly easier than overcooked 1. I think Overcooked 1 was better overall because it was slightly more challenging, although the DLC of Overcooked 2 is too hard. 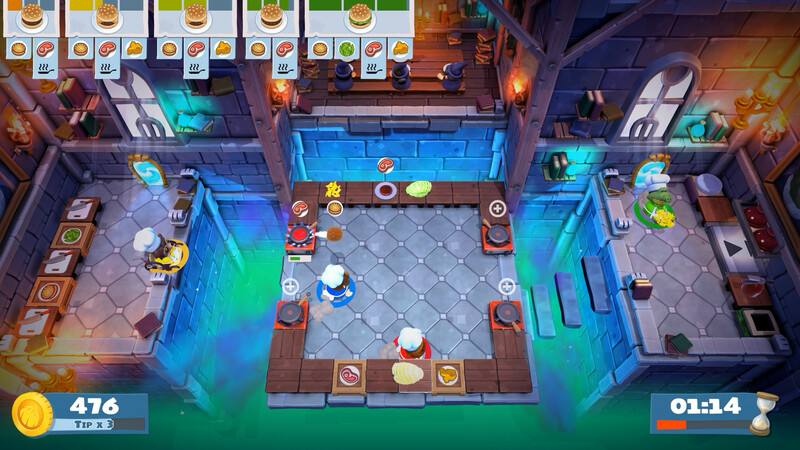 It was an improvement that there were no ice levels in Overcooked 2, although there were several levels which set on fire which was annoying. " 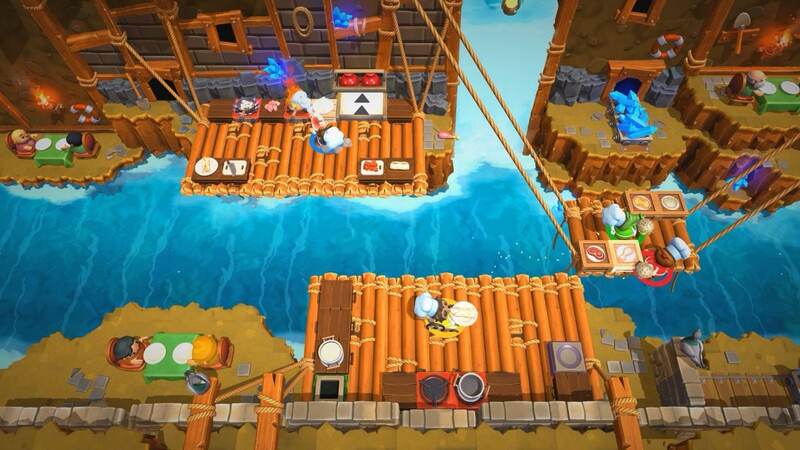 "I liked that there were not too many buttons to press in Overcooked 2. It was very satisfying when you got a dish out. My favourite dish to make was burgers. My least favourite dish was cakes and pancakes because I found it confusing to know when you needed to mix the ingredients." 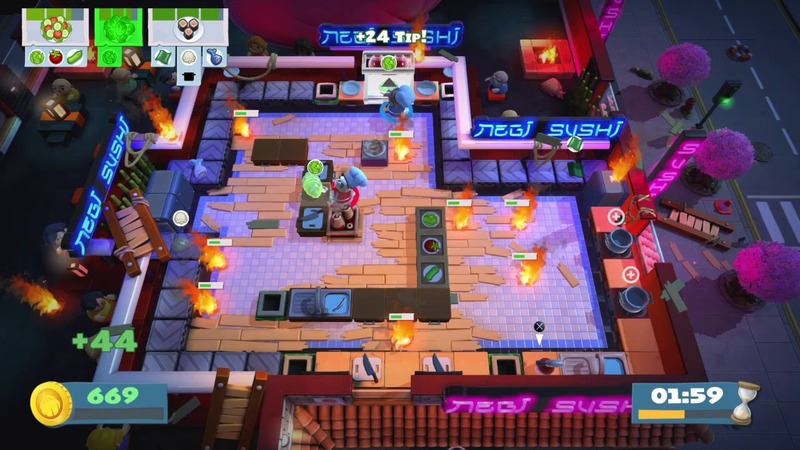 "I think the last level was not as climactic as Overcooked 1. Also, Overcooked 1 has some good Christmas themed levels which I enjoyed because you got to use a blowtorch to cook the turkeys. There were no turkeys to be blowtorched in Overcooked 2 as far as I know." 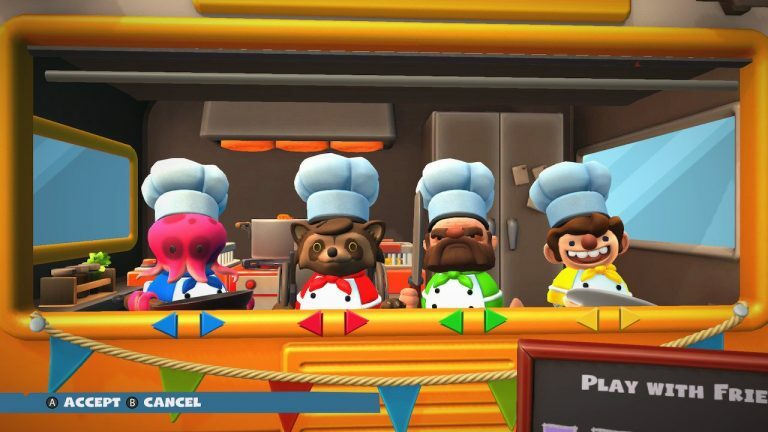 "I like the aesthetics of Overcooked 2. The cute chibi style was very pleasing, especially the chef that had an octopus for a head. The music was good. I would recommend Overcooked 2 to anyone who enjoys fun and octopi on your head." 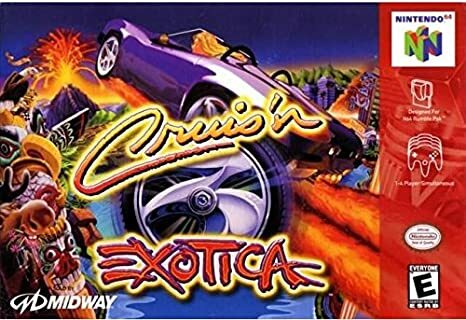 I completed Cruis'n Exotica on the Nintendo 64 this evening! The last Cruis'n game on the N64 went in a strange direction. They leaned more into the wild and crazy antics with huge flips and unique locations like Mars and Atlantis. However, the tight game play failed with bugs littered throughout the game and you never feel comfortable with how your car handles. It is a still a very enjoyable game and a great arcade racer. However, Cruis'n World is my favorite in the series and this felt like a step backwards and a drop in quality. I played through Time Soldiers for together retro. It’s obviously based on the Ikari Warriors engine, and it play similarly to that classic. 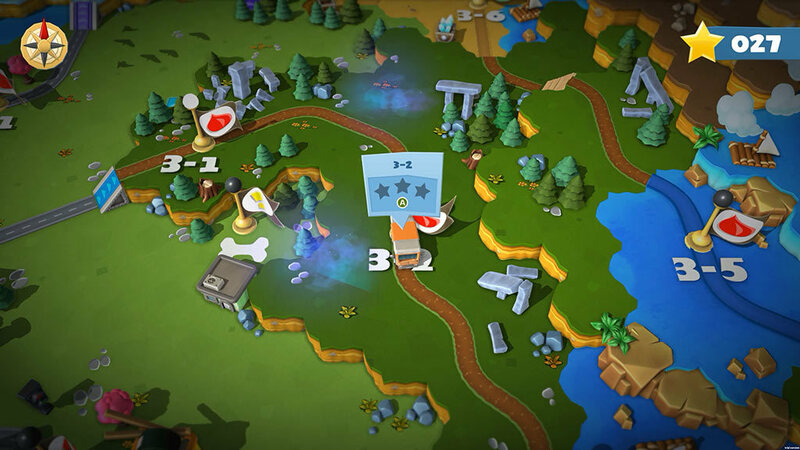 It introduces a few new features, such as more robust power-ups, branching pathways, horizontal scrolling, etc., that would be found in later games in the overhead shooter genre. Moreover the different historical settings effectively mask the repetitive enemy and level design. I appreciate that, and with a few tweaks, such as a twin-stick control scheme and the ability to continue at the end of the games it could have been pretty good. The last level is utter garbage, however, and ruins the experience. (What game designer though it’d be a good idea to remove the ability to continue at the end of the game?!) Not recommended. You are a braver man than I.
I had my introduction to the Rusty Lake games just last month and was well pleased with what I found! Definitely some of the better mobile games I've played. 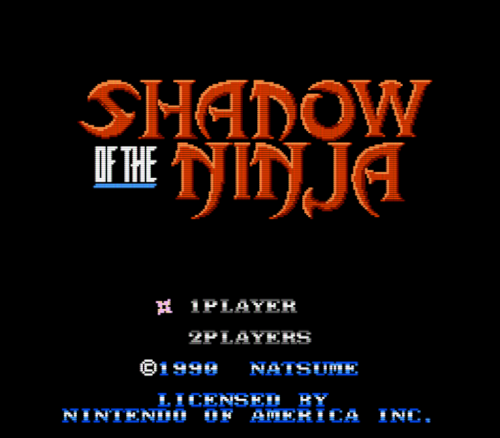 I'd go so far as to say that Shadow of the Ninja is one of the best ninja games released on the NES. And given the popularity that ninjas enjoyed during the lifespan of the NES, it's a console that featured a fair number of games featuring them. Even when we drop the 'Ninja' qualifier and measure Shadow of the Ninja against the deep pool of action platformers for NES (ninja-based or not), it's still above average by a considerable margin. 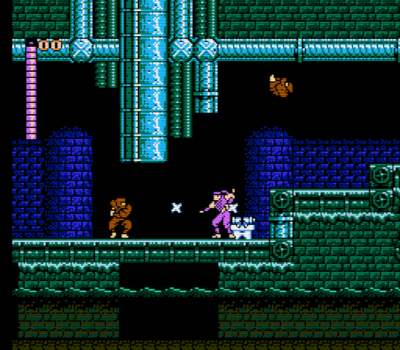 Like most action platformers on the NES, the story is fairly inconsequential. It's the year 2029 and an evil overlord named Garuda has taken over the United States. Two lone ninjas of the Iga clan have taken it upon themselves to infiltrate Garuda's stronghold and assassinate him using the ancient arts of ninjutsu. Of course when I say 'assassinate', I mean take on the entirety of his forces Rambo style. You may notice that I said ninjas as in plural. In the single player game you have the option of playing as either Hayate a male ninja clad in blue or Kaede a female ninja in red. But single player games are for losers without friends! Shadow of the Ninja also features simultaneous two player ninja combat, and I suspect this would be a fun way to tackle the game with a fellow ninja. I'm a loser without friends … so I really wouldn't know. 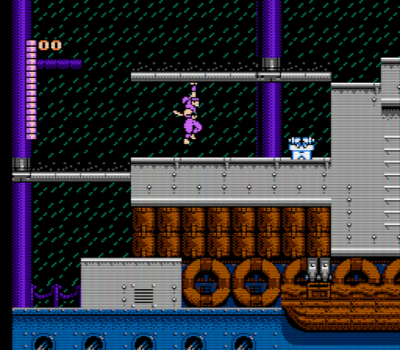 It's a nice feature and something that's rather uncommon in 8-bit action platformers. Playing in simultaneous 2P might help to mitigate some of the challenge in the game though, because make no mistake, this is a challenging game. It's not quite as challenging as some of the more notorious action platformers on the system, certainly not so much as Battletoads or even Ninja Gaiden, the game most likely to draw comparison with Shadow of the Ninja. But that's perhaps not the best comparison here. As opposed to the non-stop breakneck action of Ninja Gaiden, Shadow of the Ninja invites a slightly more tactical approach. It's obviously still an action platformer, but a full speed balls out approach will seldom be successful here. The boss battles too require patience and pattern recognition for success since they last long enough to prevent a simple button mashing approach. 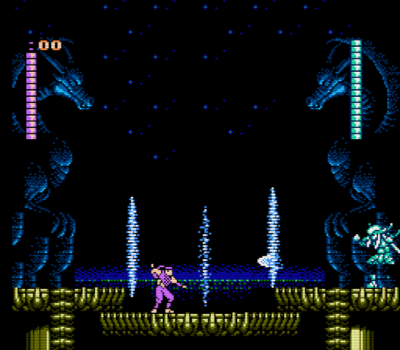 If anything, the gameplay in Shadow of the Ninja often felt reminiscent of Sunsoft's Batman game appearing on the NES. Graphics and music are both well done. 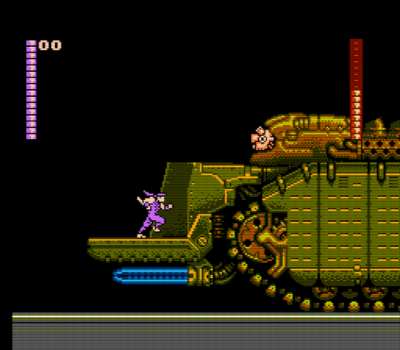 The music is particularly good and occasionally reminiscent of 8-bit Castlevania tracks in some stages. Always high praise! Graphically I was once again reminded of Batman on the NES with levels combining elements of high technology and urban decay. Shadow of the Ninja is a game that's 'good enough'. It doesn't do a whole lot to distinguish itself from other similar games of its era, but neither is it noticeably bad in any particular area. It accomplishes everything it sets out to do, but doesn't break any molds in the process; a workman like effort. 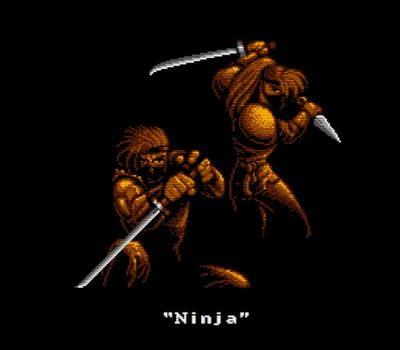 All the same I stand by my initial comment that this is one of the best ninja games on the NES. 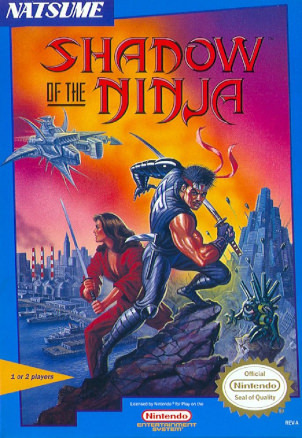 If you're a fan of other ninja games from this era, Shadow of the Ninja is definitely worth your time. Nice! I see I’m not the only one who marathoned a bunch of the Cube Escape games. If you get the chance, check out Rusty Lake Hotel. It’s on of their premium games and definitely my favorite. It also goes on sale with some frequency. Also, Shadow of the Ninja rules. Try out Ninja Gaiden Shadow on the Gameboy if you want some more!